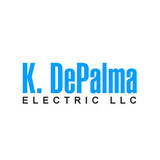 K. DePalma Electric LLC is your one-stop shop for home remodeling and electrical contracting services. Assisting you is our top priority. Call 203-395-9839 for a FREE estimate today. • Fully insured and licensed • Service upgrades • Pool wiring and outdoor lighting • Telephone and data wiring • Emergency service • Kitchen and bathroom remodeling • And more Each person on our staff is trained to deliver excellent service every time to make your home remodeling and electrical contracting experience hassle-free. If you're not happy with your service, we offer a 100% customer satisfaction guarantee, so you can hire us with confidence. 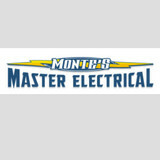 Monte’s Master Electrical Inc. provides a wide range of electrical services - from replacing outlets, to service changes, to new construction, and more. We cater to both residential and commercial establishments, specializing in personalized solutions for your electrical installation needs. While working hand-in-hand with contractors, home owners, business owners, and anyone else with electrical needs, our tailored customer service leaves a lasting impression. With more than 30 years of experience, Precision Electricians provides 24 hour emergency electrical service for commercial and residential customers in Hadmen, CT. You can rely on our expert staff to provide you with quality workmanship for all your electrical needs. NO JOB IS TOO BIG, NO JOB IS TOO SMALL! 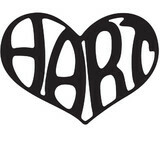 Hart Electric provides all phases of electric work. We are a family owned and operated business with the focus of customer satisfaction and safety. We offer free estimates, and very competitive prices. We stand by our quality work and we are proud to offer superior customer service. With our thorough process, we ensure that your house or business will remain functioning flawlessly long after the project is complete. Most of our customers are long-standing and repeat clients who found us through referrals. Complete customer satisfaction is our goal. We are fully licensed and insured. Call today for your free estimate! DGJ Electrical LLC is a full service family-owned and operated electrical company that has been providing residential customers in the state of Connecticut with the highest quality of work and services since its establishment in 2005. With full, highly trained licensed technicians that understand customer needs, we provide helpful work and design experiences that will help meet your requirements. Customer service is our top priority, this is why, it is our goal is to service all of your electrical needs in a professional manner. Strathmoor Electric. is a dynamic organization and one of the largest electrical contracting companies serving Westchester and Fairfield counties. Centrally located in Stratford, Connectitcut, Strathmoor is a full-service company that has successfully completed a wide range of electrical construction and maintenance projects for clients in both the private and public sectors. Strathmoor was founded in 1972 by Robert Forstrom, who continues to be actively involved in the company’s operations. Strathmoor has earned a reputation as one of the area’s most trusted names in electrical contracting. We’ve “been there” so many times before, and we bring our experience to every new assignment. We guide you every step of the way and make sure the work is completed to your total satisfaction. We know that electricity is our specialty and not yours. That’s why we take the time to discuss our work with you. You will understand what we are doing and why. You deserve the best in customer service and that’s what we deliver. B. T. Design & Build LLC has a proven record of excellence in designing and managing building and construction projects in sourthern New England. No matter the size of your project, the experienced professionals at B. T. Design & Build LLC will plan, design, construct, and maintain your project. You'll Be Glad You Chose Us Effective planning is crucial to the successful completion of any project. Before starting the project, our team of experts will first assess your goals. Then we provide you with an estimate and time-line for completion. From beginning to end you will be involved every step of the way. Cost-Effective Services Eliminate all the items on your to-do list by calling the experts at B. T. Design & Build LLC. You'll be glad you did. We have many years of experience and work hard to make sure the job is done right while saving you time, money, and aggravation. We'll be there whenever you need us. Astro Electric LLC prides itself on being the go-to choice for clients looking for Wiring, Electrical Services and Rewiring services. Delmar Electrical is a rapidly growing company, specializing in all phases of commercial/industrial controls and construction. We currently service various companies throughout Connecticut, New York, and New Jersey. Delmar has built a reputation for providing customers with top quality professional services. Although most of our clients are heavy industrial, we also provide service to commercial and residential customers. All projects are of equal importance, regardless of size, to Delmar and its highly qualified employees. Since most customers are businesses, we understand the outcome of our work means a great deal to our customers. We know that excessive downtime means unnecessary loss in money to the customer. Therefore we correctly allocate our time and manpower to always meet the deadline. We also know that the quality of our work means less future down time. Consequently, we set our standards above the national electrical code to insure that the completion of the project will increase your bottom line. Mister Sparky Electric is a full service electrical company that has offered electrical services in different areas across the country for 26 years. We are family owned/operated. Mister Sparky Electric offers a NEW concept in the electrical industry--Punctual Service! We actually pay our customers if we are late! 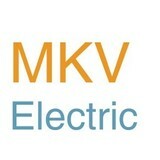 All our electricians are licensed, insured, drug tested and had monthly background checks. We have the best warranties in the industry and 100% satisfaction guarantee. Emergency service is available 24 hours a day, 7 days a week and weekend service is available at no extra charge. We treat our customers as we want to be treated! The Golden Rule! Ja-Ma Wellington is a full service electrical contractor handling Commercial, Residential and Industrial Service, New Construction, Parking Lot Lighting, Re-lamping, LED Retrofits, Energy Management Service among many other things. 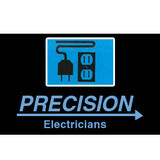 We have over 10 employees dedicated in the field as well as in the office to handle all of your electrical needs. We prefer to keep our company in check with the current economic fluctuations to maintain the level of personal service and quality of work you expect. We are fully licensed and insured in Connecticut. CAG Electrical Co., Inc. is an electrical contractor / electrician serving the Hamden, CT area since 1981. Services include Electrician, Industrial Electric, Commercial Electric, Emergency Service, Electric Repair, Lighting Installation, Wiring, Outlets, Security Lighting, Ceiling Fan Installation, Generator Installation, Network Wiring, Alarm & Security Repair, Lighting Design, Electrical Design and Plumbing.